The first official look at the "Ugly Christmas Sweater" Nike SB Dunk from Concepts and information on when you can get a pair. You've probably been seeing various low-res and grainy images of the Concepts x Nike SB "Ugly Christmas Sweater" Dunk High for a while now, but today we finally get our first official look at the anticipated sneaker inspired by that hideous sweater your grandma or crazy aunt got you for Christmas back in the day. 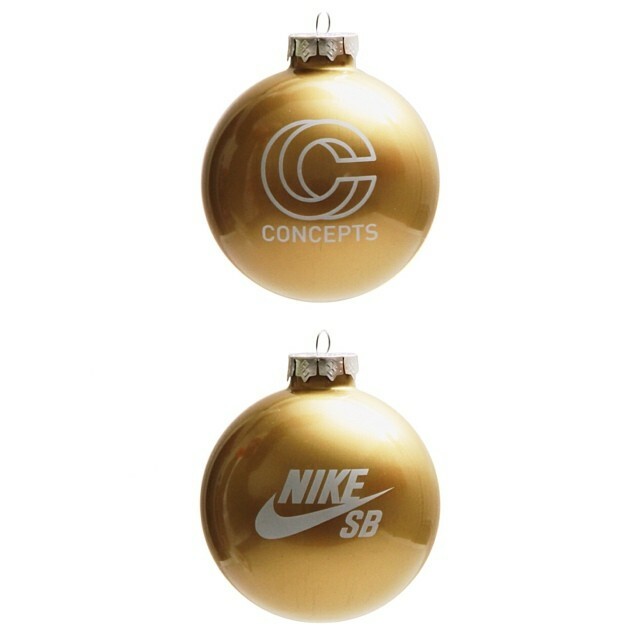 As you can see from this teaser image, the latest collab from Concepts and Nike SB features an all-over print Christmas sweater-themed upper sitting on top of a white midsole and gold-flaked outsole. A special "herbal" lace dubre will be included -- and is that a snowman beer coozie in the background? 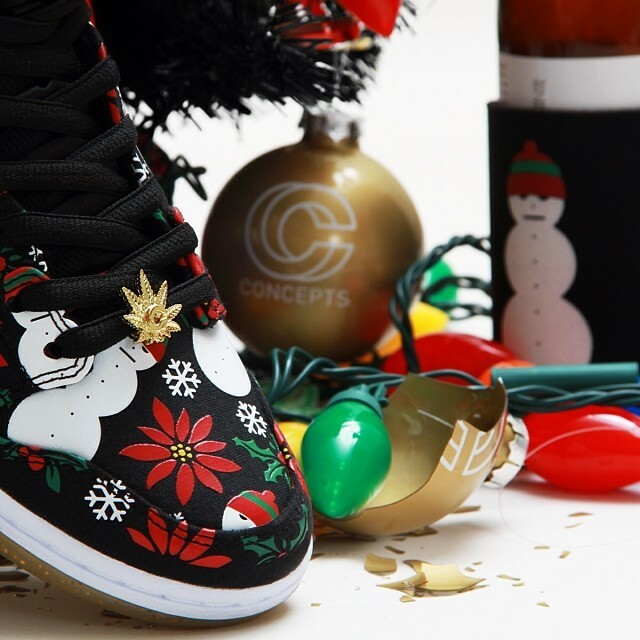 Concepts reports a drop date of December 7th for the Ugly Christmas Sweaters, available exclusively at Concepts. Stay tuned for a full look at the shoe and further details on the full story behind this Yuletide sneaker.